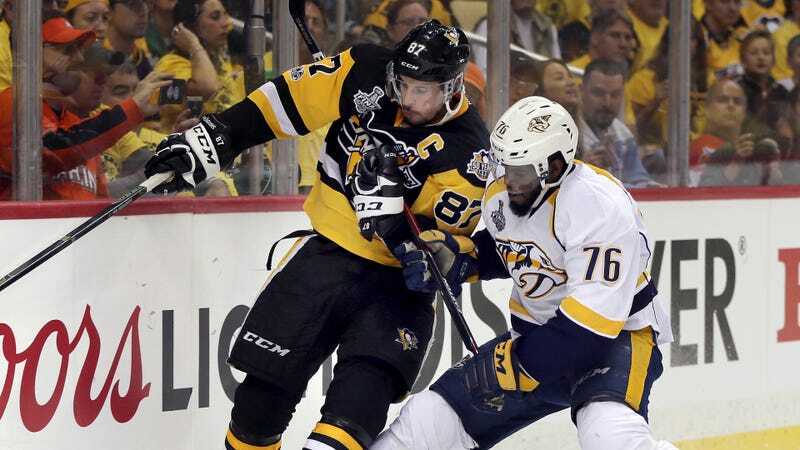 With Nashville on their way to a 5-1 victory during last night’s Game 3 of the Stanley Cup Finals, P.K. Subban and Sidney Crosby got into it a little—jawing at each other in the closing minutes of the third period before being separated by a referee. About the night’s gameplay, which had seen quick tempers and plenty of penalty minutes on both sides throughout? Nah. Based on literally nothing at all except what I would like to be true here, someone as purely delightful as Subban cannot possibly have bad breath. May he enjoy every dollar of the Listerine endorsement inevitably coming his way. Update (4:05 p.m. ET): The beef, it marinates.